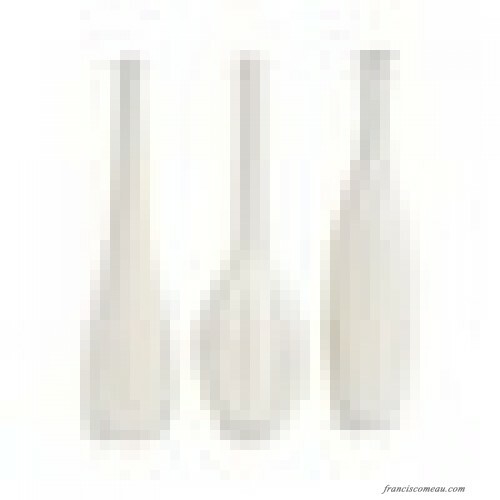 This lovely 3 Piece Stoneware Vase Set is brimming with chic style, making it the perfect accent, whether you want to fill them with flowers or just set them alone. 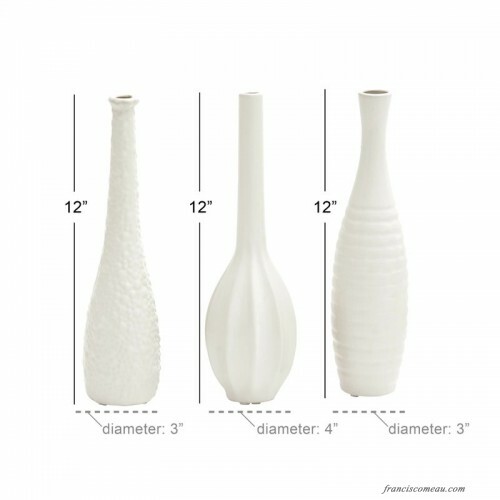 Showcasing a sleek white hue, 3 distinct textured designs, a tall slender frame. 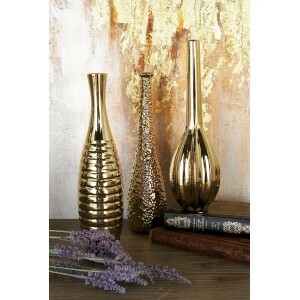 This lovely set is a must-have accent for your home. Try setting these three designs together on your entryway console for a sleek vignette sure to impress. 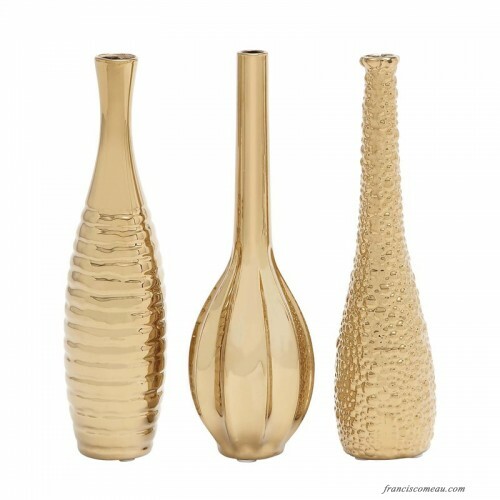 Or fill them with pink roses or orange tulips and use them throughout your living room to add a touch of cohesion and chic style.